Working with a new rifle today. Here's 5 shots at 100yds. Any guesses on what it is? I’m going to say a 22 PRC. 6 dasher... oh and by the way, that was during fire forming. 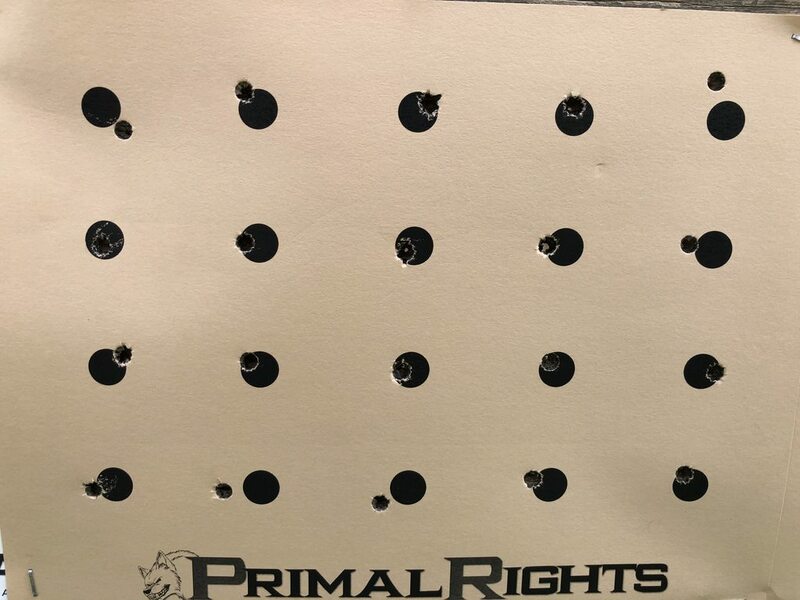 I measured an SD of 6.4 across 15 shots. @orkan I may have to turn one of my 6br into a dasher when I shoot out the barrel. What was the load? Bullet? 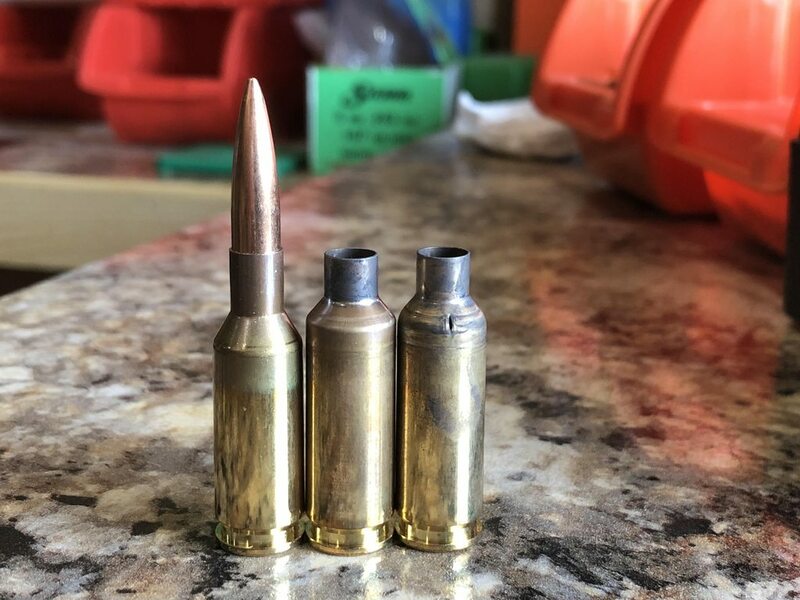 31gr H4350 with a 107SMK jammed 30 thousandths. Forming load. 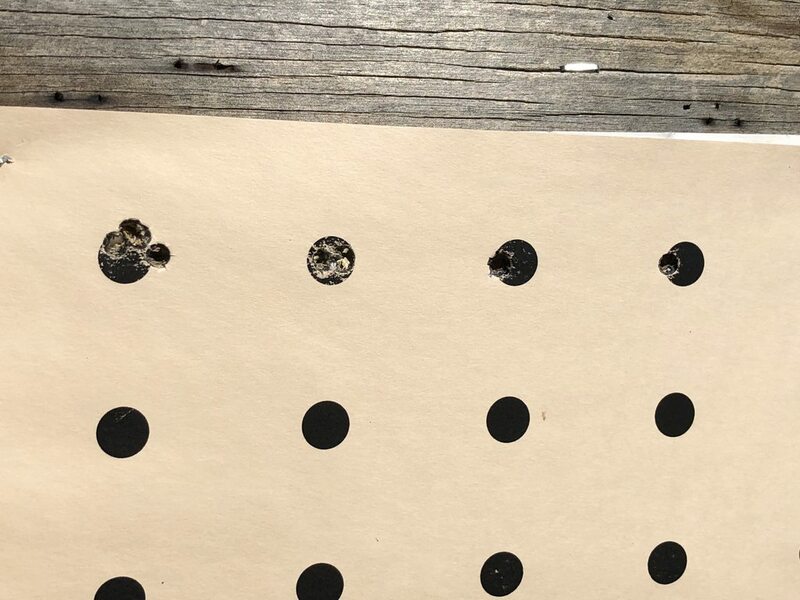 100 shot group I fired today doing some more fire forming. I was about 13-15 rounds deep, and I had to stop to take this picture. I had about 8 shots go right in the same hole. Couldn't have been a 25 thousandths group. So fun. @bull81 The 6 dasher pictured previously in this thread. Might fine shooting fella. I want a dasher bad! 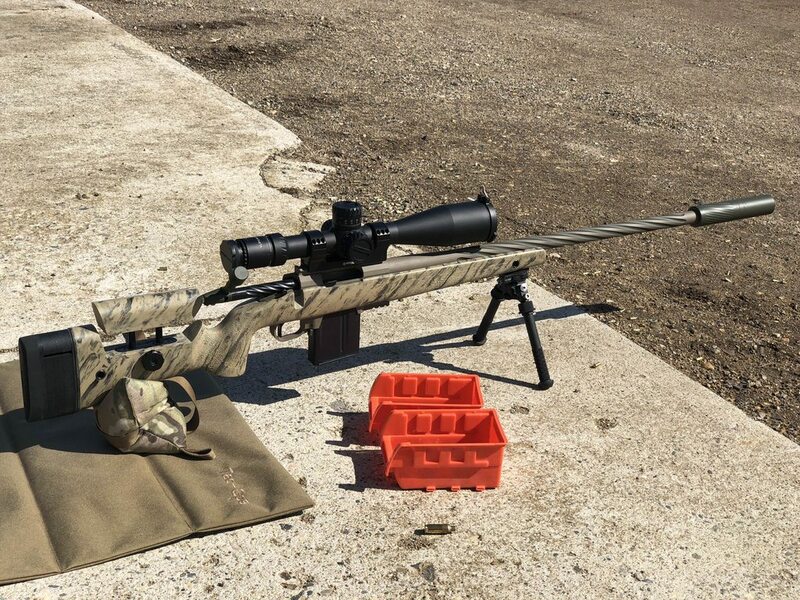 @bull81 The rifle is capable of a LOT better. I don't shoot very well off a bench, and the mirage was horrendous out the window as it's still cold out here. Is that a 24" barrel? 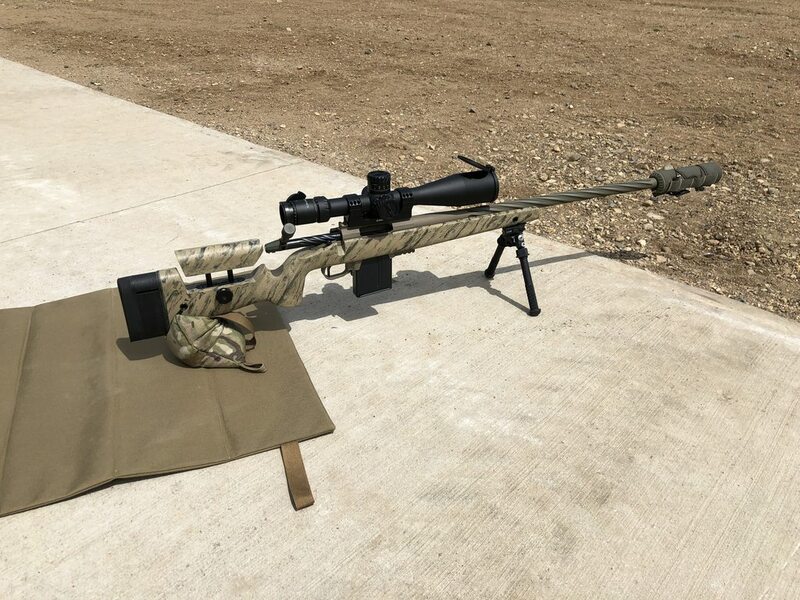 Hey Greg, I assume this is a Lapua Dasher correct? What dies do you plan to use? 26", thunderbeast ultra 7 6.5. Yup, lapua dasher Dasher. That norma nonsense they did is an abomination. ;) I'm using a whidden sizer and forster micrometer seater. I've had some questions about forming. Here's a picture that tells most of the story. Loaded 6BR on the left, properly formed dasher in the middle, blown shoulder on the right. I lost about 5 cases out of every hundred in this lot of brass to blown shoulders. Lots of brass movement and some cases just can't take it. 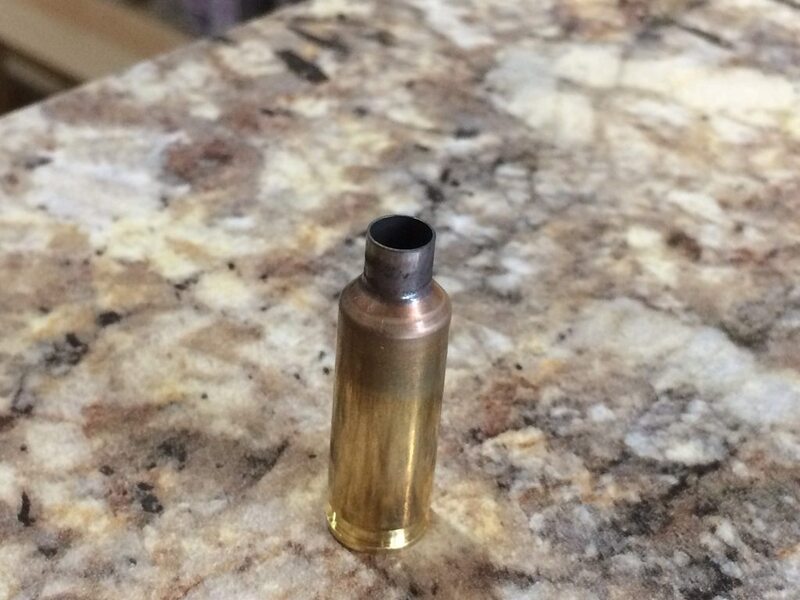 This batch of brass has proven to be pretty poor, with far more creased necks/shoulders than I've seen in most lapua brass. I’ve never formed anything as serious as this, so I’m just wondering if a slightly lighter load would work better? Would it reduce the blow outs while still properly forming the cases? @bull81 I experimented with lighter loads and didn't notice any drastic reduction in blown shoulders. 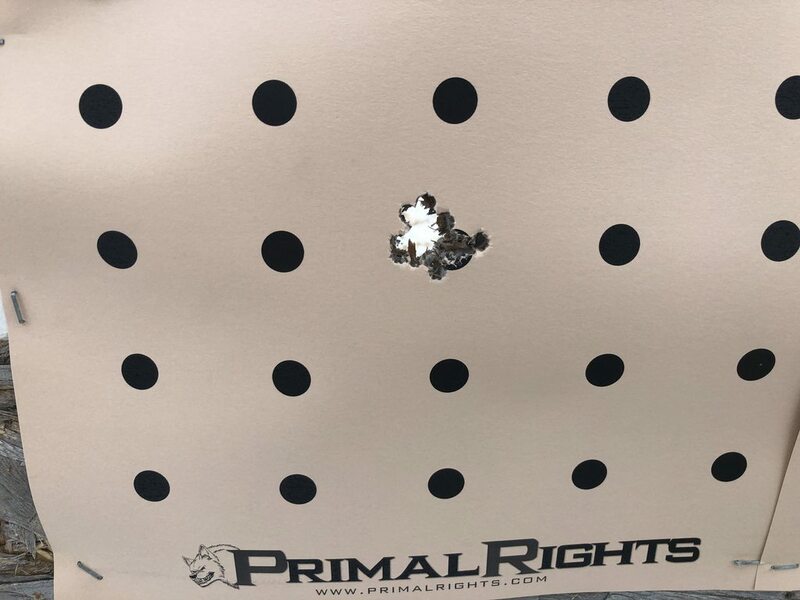 It's basically a factory defect in the brass which causes this. If I inspected the new cases carefully, I'd probably catch most of them then. I'll see if I can find one and show you a picture of what it looks like from the factory. Well I couldn't find any to take a picture of... but the way I look at this is that if that specific piece of brass can't handle a full forming, then I don't want it anyway. So I will accept whatever loss I get. Thanks I am wanting to get a dasher so I’ve been doing a lot of reading up on the forming process. I’d rather not ruin all my brass during forming. Out of the various ways I’ve read about the jamming method seems to be the best route. AFTER it proves itself, brass is valuable... in the specific barrel it proved itself in. I'll probably get 30-60 firings out of this remaining formed brass if I really wanted to... but all I need is for these 300 or so pieces to last me this barrel. So by the time I'm done with this brass, the 5% I lost will mean nothing to me. The pieces that made it through forming will have proven they can pass muster. @orkan no you missed my point, I don’t won’t to ruin “all” my brass during forming not knowing what I’m doing. Sure I prefer not to loose any in a perfect world but that’s just not going to happen. Well if you jam the bullet 20thou or more, have your ejector removed, and run a mild load... forming is no big deal. @orkan well once I get the build done I may touch base with you again before I start just to make sure. Finally nice enough to go lay down. 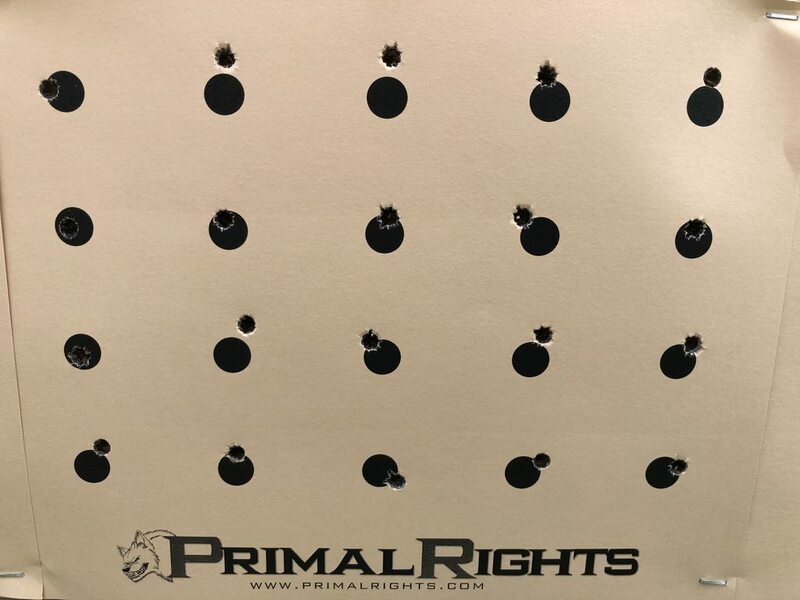 Working on another 100 shot group. I'm 50rnds deep today so far and there's an extremely impressive group down there. :) Happiness! 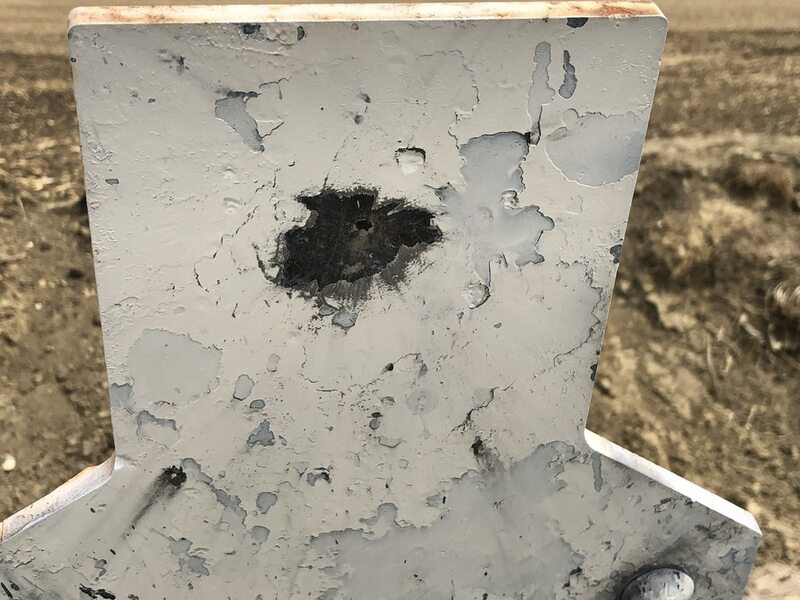 100 shot group, fired in the prone as pictured above. 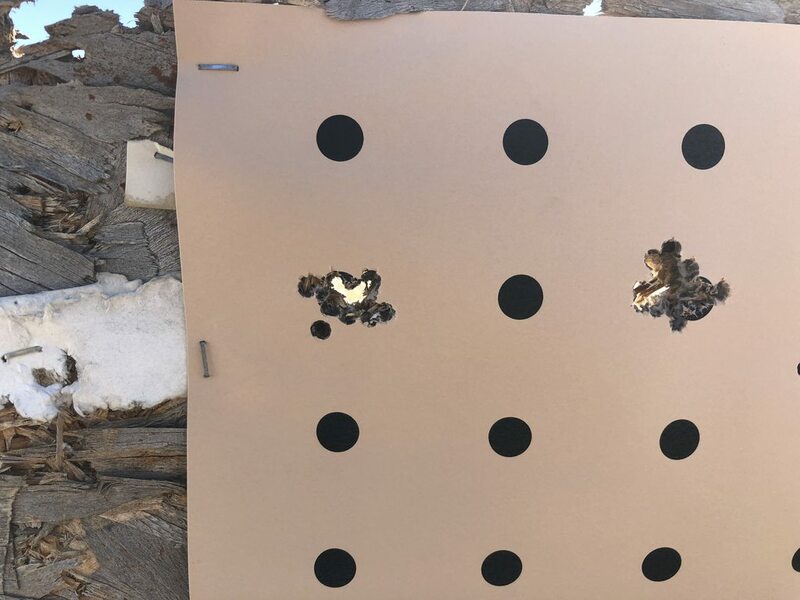 The 100 shot group fired from the bench yesterday is shown to the right. Performing this well during fire forming sure does give me great promise for what is to come. 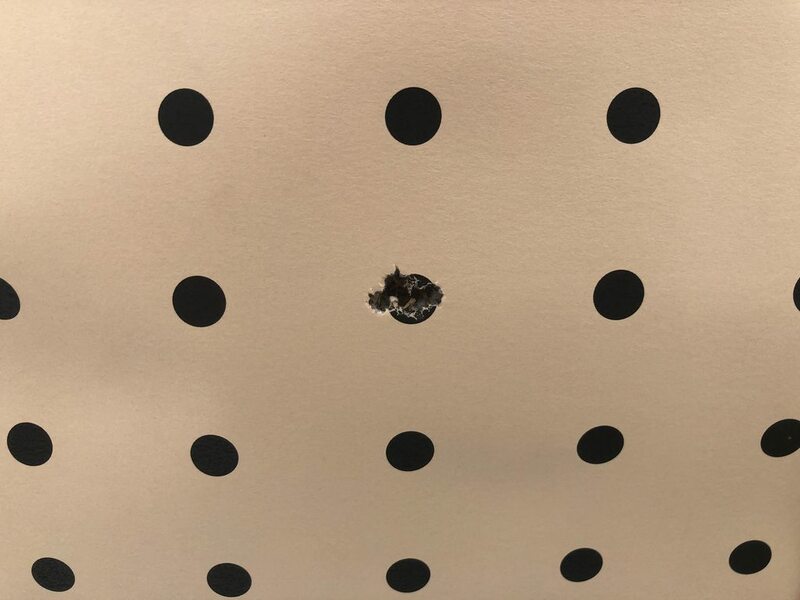 Keep in mind that 100 shot group includes 7 shots in which the case ruptured at the shoulder. Whats barrel life like on something like this assuming reasonable loads? 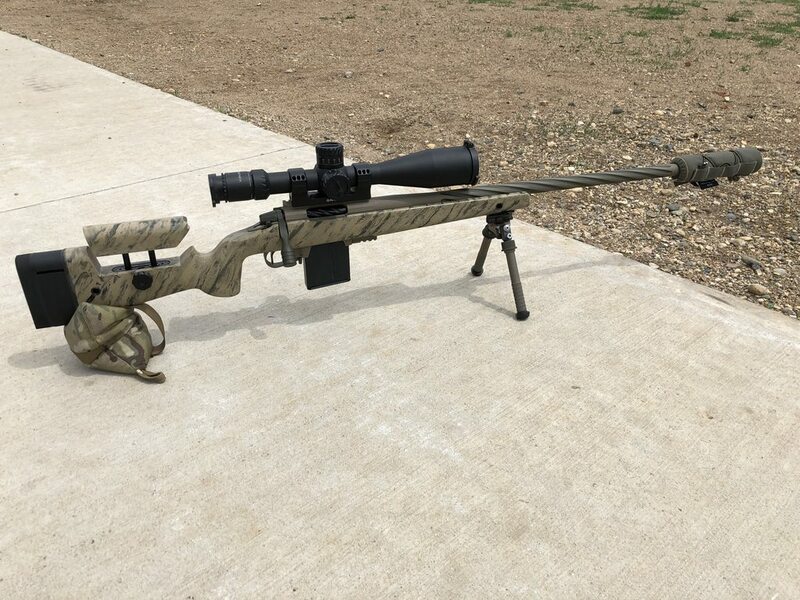 How many pieces of brass do you recommend someone form for a rifle like this? It is the same reason why people lose money in poker or the stock market. They can't let go of the emotional investment they attached to their financial investment. Things like brass are a consumable, with a certain percentage of defect rate. The concept of a consumable is tough for most people. Plus we have become increasingly indoctrinated in this society to expect and demand 100% perfection, backed by a warranty. And we go to Yelp to badmouth when we don't get exactly what we unreasonably expect. Most seem to go 2000rnds without issue. Depends on what you want to do. 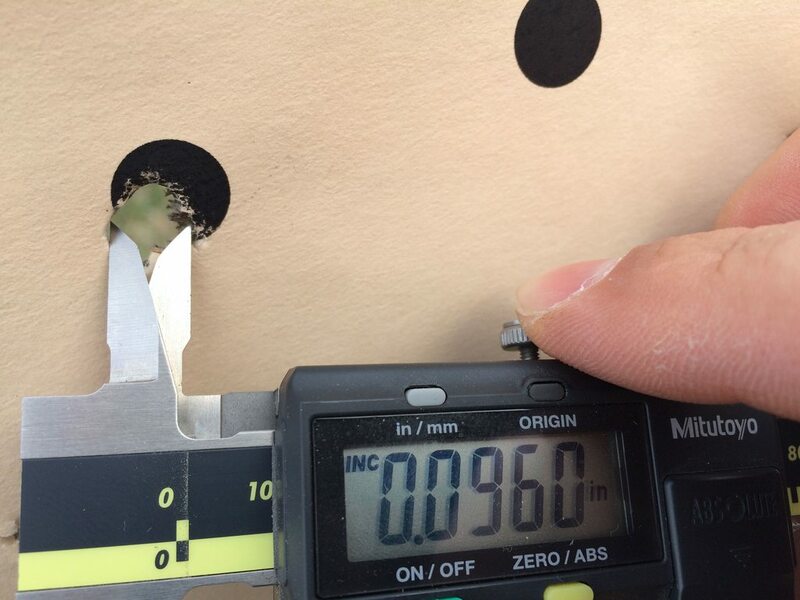 Treated right, you can get 30-60-80 firings out of lapua brass. So you could form 100rnds and shoot the barrel out easily. However if you plan to attend matches, you'll need as many as 300 pieces ready to go for a weekend. @bull81 I didn't intend to direct my comments at you. In fact I didn't even notice until now your tag was in my reply. I was just expanding on Orkan's general statement that people get unreasonably emotionally attached to things like brass. Your tag was just embedded in his statement I copied. Sorry for the confusion. Finally working with formed brass and dialing in the load today. 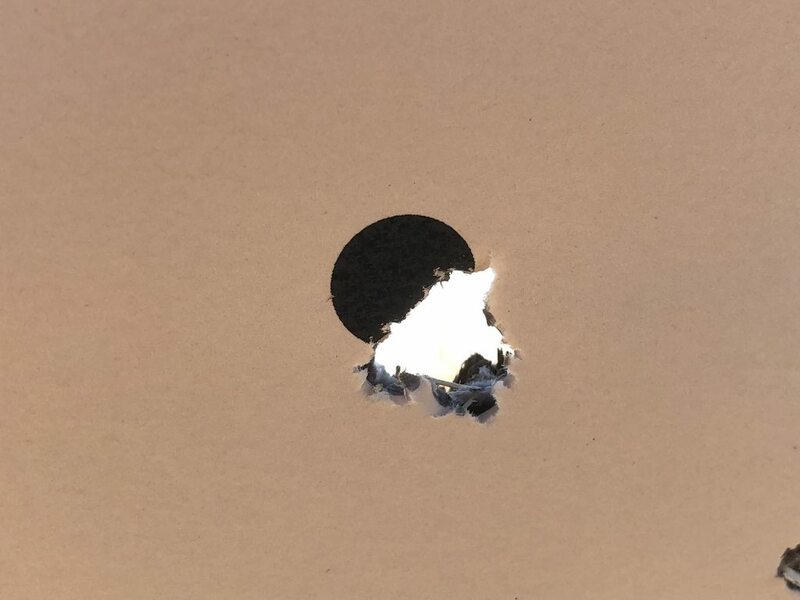 34gr H4350 behind a 105 hybrid @ 2900fps. Once I got the zero worked in, it killed dots quite well. Slow node for sure, but boy is it consistent. 36gr showed real promise and that was producing 3045fps. I'm going to wait for hotter temps before I jump up into that node though. 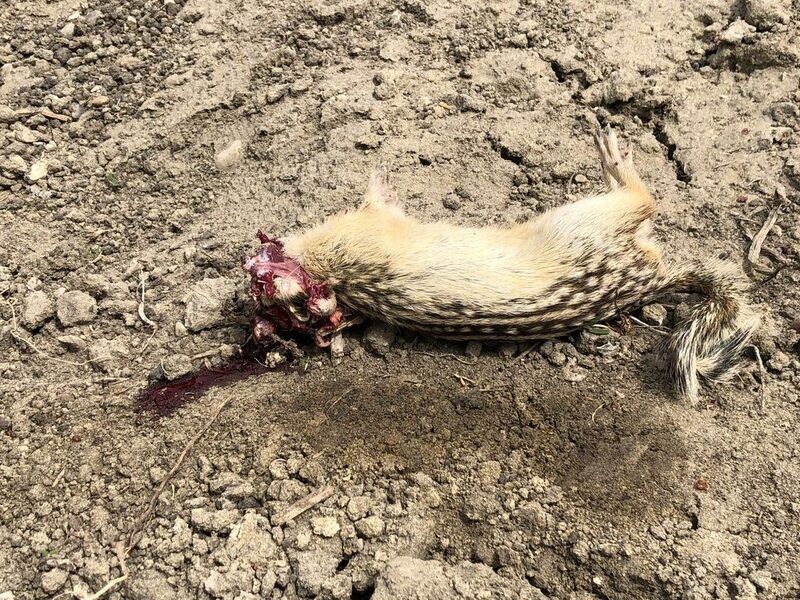 This gopher picked the wrong moment to play around on my berm. @orkan - 3045 would be awesome. Keep us posted. I got about 150 down my 28” dasher. I’m at 32.5 of Varget (CCI 450’s) going 2980 with 105 hybrids. I’m loving this thing. I’m using hydro formed Lapua. Still forming though as the datum is increasing about .004. Wind is blowing 20-35mph today... but I wanted to get some honest rounds down range, hell or high water. All shots prone with new Atlas PSR FDE/ODG, Tab Gear rear bag, on concrete. Upon conclusion of session, the rifle has 635rnds on it since last cleaned. Here's a clean dot drill. Just barely, but it's clean. Shot #2 and shot #13 just barely touch, but they touch! 825rnds since last cleaned. I always load up about 10-15 rounds and go test fire them before I dedicate a load session. If there's anything going haywire with the brass or components... or the there's a massive shift in load... I can catch it before expending a ton of time and components. 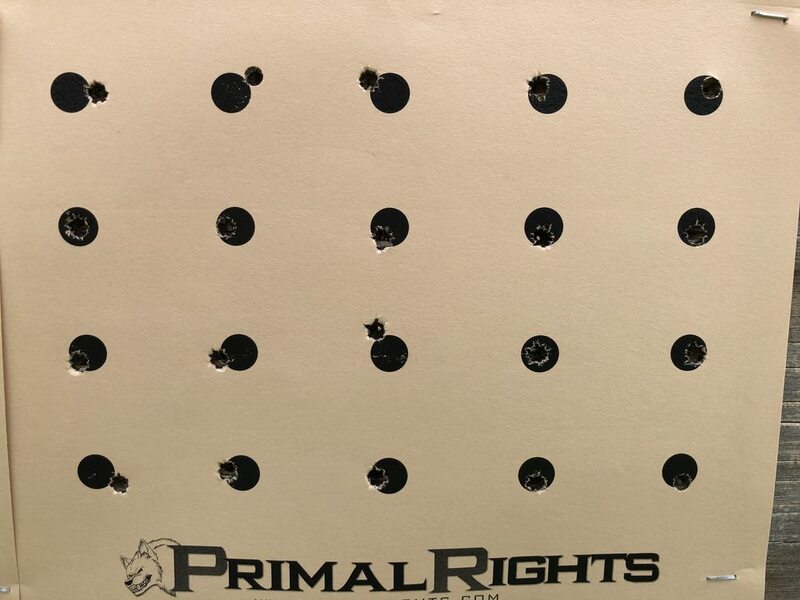 Two 5-shot groups and two singles. Yup, everything's working great... so it's off to sit in front of the Prometheus for a while. At an average load rate of 10rnds every 2 minutes... this won't take long to dump 34gr of H4350 and cap them off with 105's.